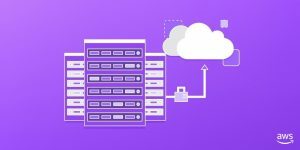 Customers have many compelling business reasons to modernize and migrate mainframe workloads to the AWS Cloud. Mainframe modernization projects often require patience, strong leadership, and a robust approach to achieve the intended ROI. Fortunately, based on our experience from successful customer modernization projects to Amazon Web Services (AWS), we have identified patterns, lessons learned, and best practices that facilitate new mainframe-to-AWS initiatives. There is no one-size-fits-all for mainframe modernization to AWS. Depending on the business and IT strategy, and depending on the mainframe-specific technical constraints, customers select the most suitable pattern for them. If the mainframe is large enough to process multiple workloads, the characteristics can favor different patterns. Learn more about these patterns and best practices in our full-length post: Yes, You Should Modernize Your Mainframe with the AWS Cloud.